OKALUX specializes in the encapsulation of materials such as natural wood grilles, metal meshes, capillaries for diffusion, and parabolic louvers within the cavity of the insulated units. 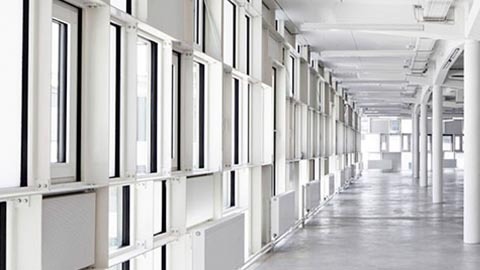 OKALUX products improve the comfort of interior conditions by adding natural daylight while controlling heat gain and glare. 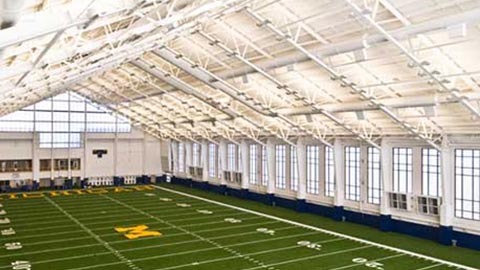 OKALUX designs and manufactures innovative insulated glazings that harness natural daylight. OKATECH® is the product to go to for brilliant building shells which will catch everyone’s eye. The insulating glass with inserts of expanded metal or wire mesh also fulfills high requirements on sun and glare-protection while allowing views to the outside. It can also creatively be set in scene in interior decorating. Glass facades with OKATECH expanded metal inserts always set visual accents. The copper and aluminum inserts are not only attractive elements of design but also function as direction-selective daylight systems and ensure effective sun and glare-protection. During the day, they give the building shell a special glow and the façade has a metallic shimmer in the sunlight. At night, when artificial light is used, they allow deep views into the interior. In addition to façades and parapets, OKATECH expanded metal is also suited for sophisticated interior design applications. 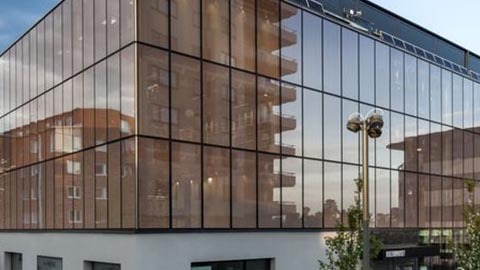 KAPILUX® is an insulating glass which incorporates a capillary slab within the glass cavity. This capillary slab is comprised of honeycombed, clear or white tubes. KAPILUX® is available in varied styles and configurations. OKALUX® light-diffusing insulating glass elements illuminate rooms evenly to a depth of 50 feet while maximizing light transmission. OKALUX® eliminates hot spots and provides perfect light diffusion. The light-diffusing properties of OKALUX® are due to the capillary inlay in the air space cavity, enabling a truly natural expression of the entire light spectrum. Glass facades with wire mesh inserts always set visual accents. The metal fabric in different types of materials and thicknesses are not only attractive elements of design but also fulfill high requirements on sun and glare-protection and allow views to the outside. During the day, they give the building shell a special glow and the façade has a metallic shimmer in the sunlight. At night, when artificial light is used, they allow deep views into the interior. In addition to façades and parapets, OKATECH wire mesh is also suited for sophisticated interior design applications.